Want to know how to better organise your responsibilities in the household and minimise the tasks? Are you willing to do something about the hygiene in the office? Are you a tenant who is seeking for a professional to handle their rental property before they leave? All these tasks can be performed by one single cleaning company in London. This is our agency. It is operated in UK and has a number of customers who have used it for years to help them get their things in order. Our company offers a variety of reliable and professional cleaning services for your home and office. Just name the service you need and we’ve got it for you. We can cover your house and perform the standard cleaning tasks such as vacuuming, dusting, decluttering, laundering, mopping of floors, wiping of cupboards, cleaning of kitchen appliances, emptying of trash cans, etc. We have all your domestic chores covered for you. Our maids can come regularly in your home and clean whatever there is to clean. For your office we provide a very professional and dependable office cleaning system that will keep germs away and make your staff feel comfortable in the building. We can help you keep an impeccable reputation by keeping your office perfect clean. We promise to look after your business by maintaining good hygiene levels in the office. People who live in lodgings can take advantage of our highly-reputable services too. For them we offer end of tenancy cleaning. It is a very powerful process that eliminates dirt from all the surfaces, leaving an impeccably clean building. We help tenants return their money from their landlords. 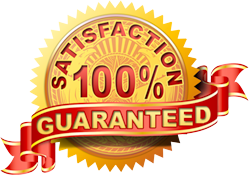 We also ensure a 48-hour guarantee in case you are not satisfied with the service, not that you will be. Our company provides deep cleaning, carpet and upholstery cleaning too. We offer almost anything you may need. The only thing that you should do is get in touch with us, letting us know where you live and what pending tasks you have. We will take care of them.